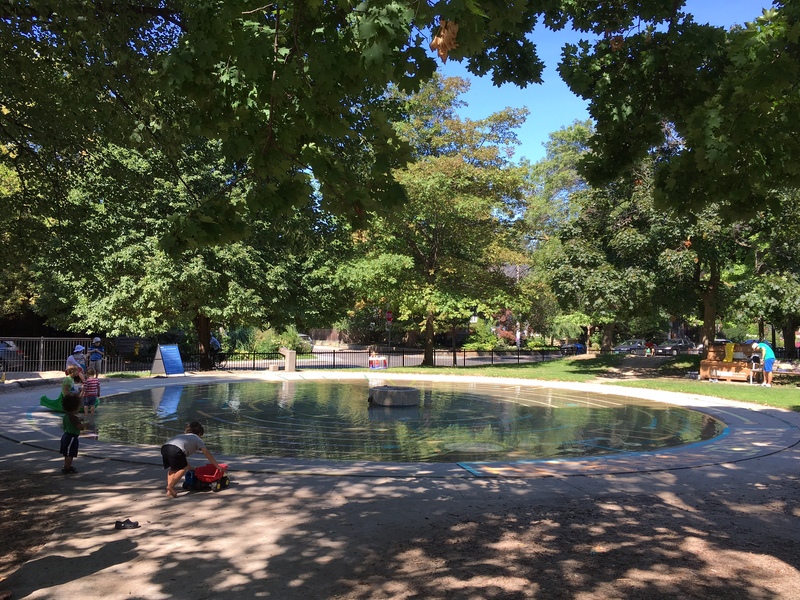 Vermont Square Park | Kids in T.O. More park envy. 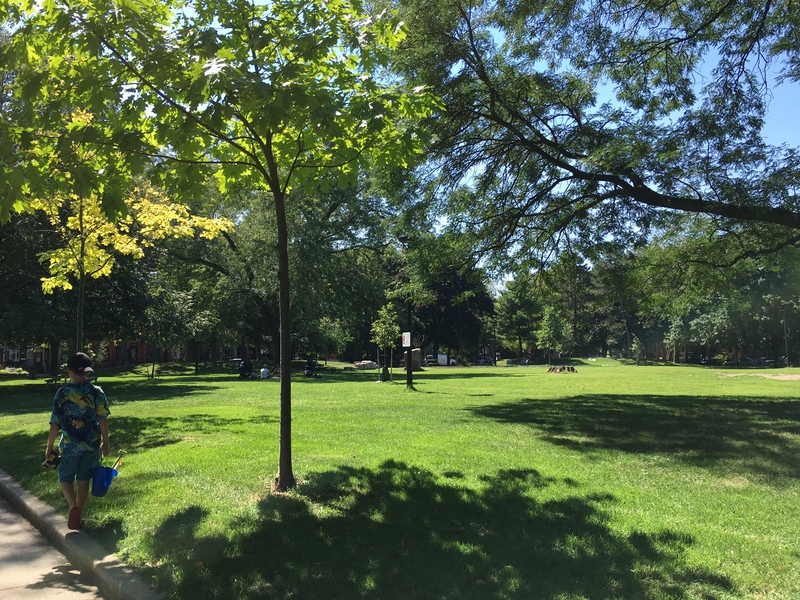 This downtown green space in the Annex neighbourhood is nestled within beautifully tree-lined streets. I want to live here. 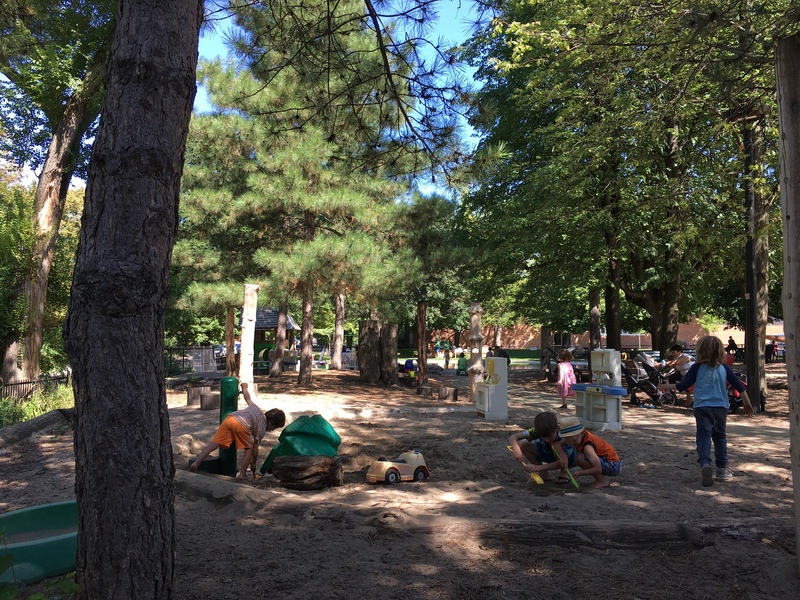 And those that do know their local play space Vermont Square Park has everything: the Dennis Lee Playground and its cool pirate ship playground on sand, a long bench that stretches along the east side, well-shaded littler kids’ playground and a sandbox (with a water feature) made from natural elements, lots of park toys, a wading pool (in the summer) and ample green space to picnic and run. 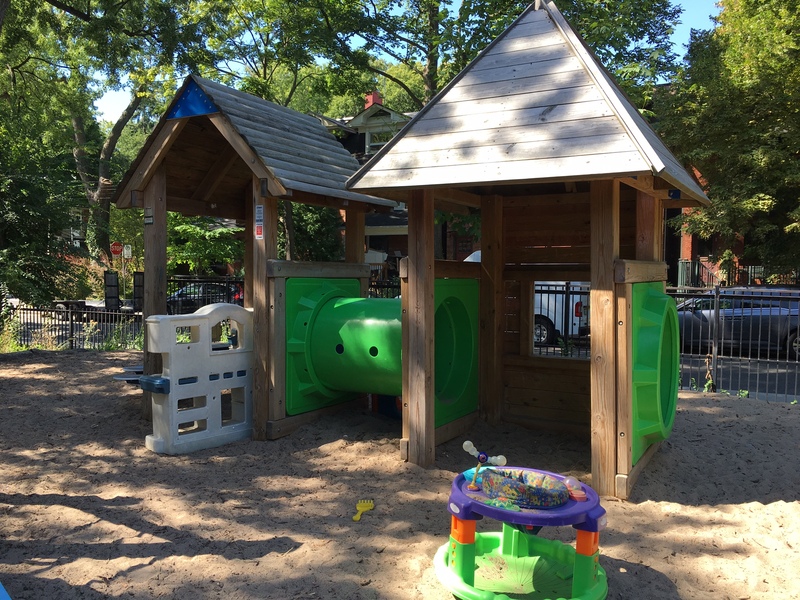 Getting there: The park is located at 819 Palmerston Ave in between Dupont and Bloor St. W and Christie and Bathurst Streets. Some free residential street parking is in the area – watch as some are one-hour. On TTC, from Bathurst Station it’s a 10 minute walk north (or take the Bathurst bus.) Walk west from Bathurst along Olive or Vermont Aves. Potty time: None on-site. Visit Bill Boulton Arena or St. Alban’s Boys & Girls Club if open. 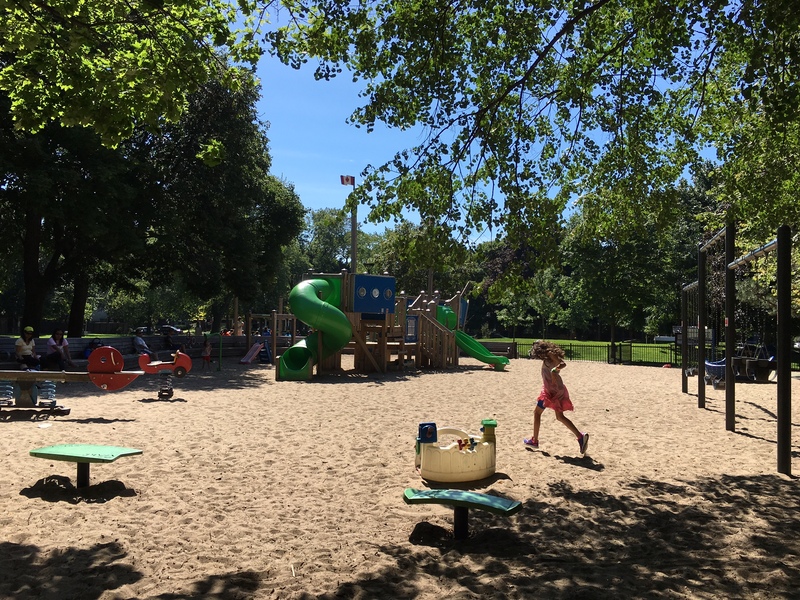 In the hood: More park play not far at Christie Pits Park. A 20-25 minute walk southwest for the Bata Shoe Museum and the ROM.